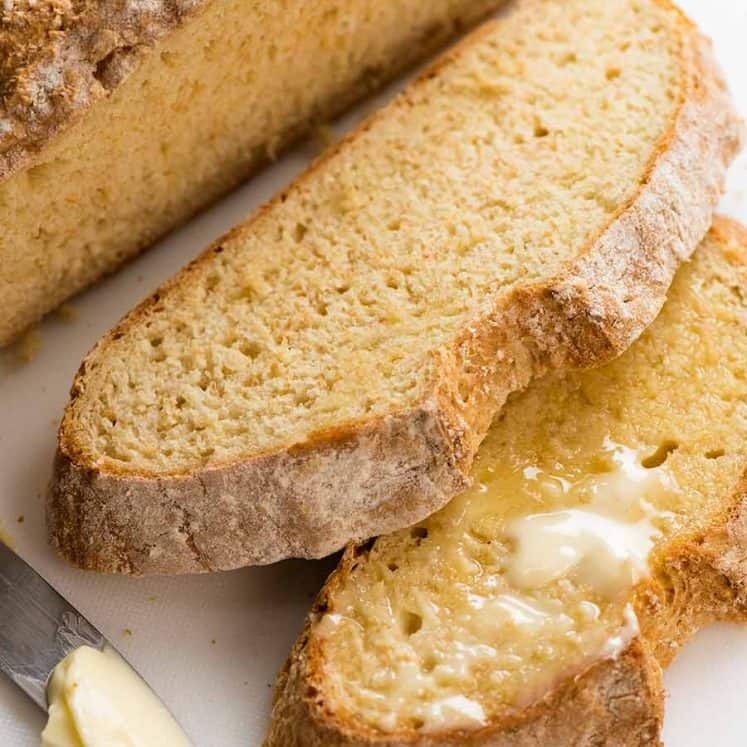 A no yeast bread that is super quick to prepare! 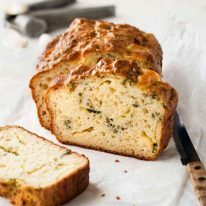 With swirls of herbs and ribbons of melted cheese, this is a wonderful afternoon tea served with lashings of butter, or for dipping into soups. I like to wedge chunks of cheese in the batter so you get lovely pockets of cheese and the lovely textured crust on top. But you could just mix it through – even faster to prepare!! I don’t often bake with yeast because it requires patience for the dough to rise. I’ve actually got reasonable upper body strength. My challenge is my height. Sigh. OK, there you have it. I haven’t admitted this on my blog before but not only do I have abnormally small Baby-Hands, I am also vertically challenged. For those of you also in the same boat, you will understand when I say that kneading is much harder for short people because the work surface is higher and you don’t get the benefit of being able to push down with your body weight. I can’t believe I just wrote that. How embarrassing. So. 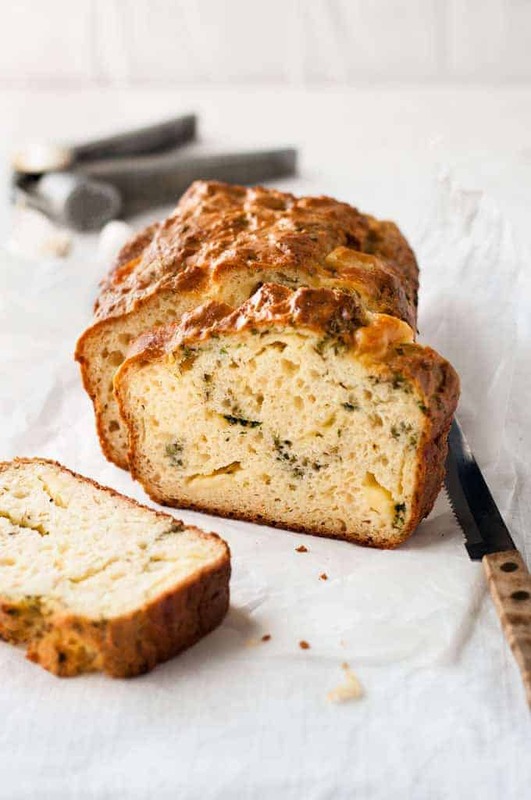 I love no yeast breads that don’t call for kneading – quick breads like this recipe, and these No Knead Dinner Rolls. The ingredients of this no yeast bread are similar to a muffin but I altered the recipe to make it less crumbly, making it suitable to slice and even to toast. It is light, fluffy and super moist. 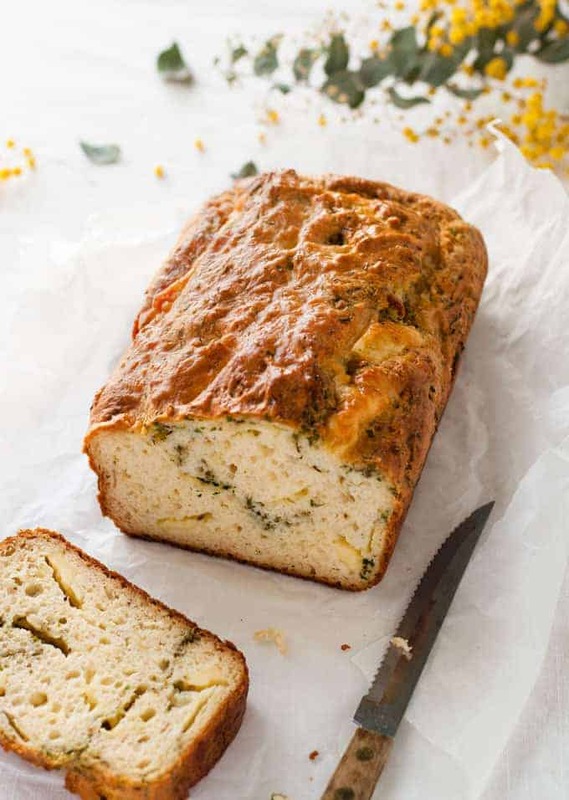 I like to add the herbs and slices of cheese in after pouring the batter into the bread tin so that you get “swirls” of herb and pockets of cheese in the bread, rather than almost invisible bits of herb and grated cheese all throughout which you can’t really see. But this step is optional. 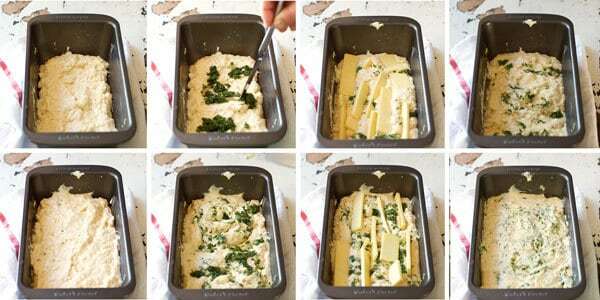 The easier and faster way to make this is to mix grated cheese and herb into the batter, then just pour it all into the tin. This bread lasts quite well – really fresh for 3 days in a very airtight container, up to 4 is ok. Beyond 4 I would toast it and store it in the fridge. Serve this as a side for meals, or for afternoon tea served with lashings of butter. It’s also fantastic for dipping into soups and slow cooked stews! 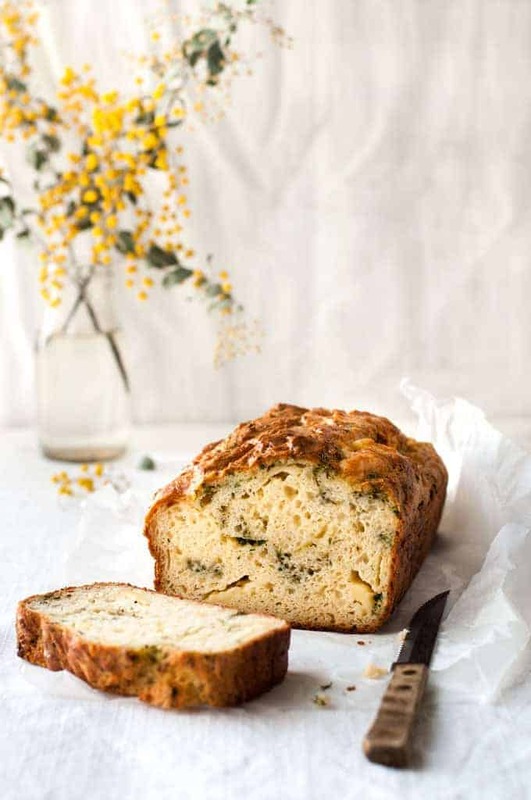 A bread made without yeast with swirls of herb and pockets of cheese throughout. Slices well and especially great toasted! Grease a bread tin (21 x 11 cm / 8" x 4") or small cake tin with butter. Mix the herbs and olive oil in a small bowl. Combine the Wet Ingredients into a bowl and whisk to combine. Make a well in the centre of the Dry Ingredients. Pour the Wet Ingredients in and mix until just combined. Pour 1/3 of the batter into the bread tin. Dollop half the herbs across the top then use a knife to "swirl" it into the batter up and down, and also turning the batter over (refer photo below). Use half the cheese slices and push them randomly into the batter. Push some all the way in and leave some poking out of the batter. Pour the remaining batter over the top. Dollop and swirl the remaining herbs, then randomly wedge in the remaining cheese, pushing most of it below the surface of the batter. Even out the surface. Bake for 30 minutes, or until the top is golden. Remove from oven and cover with foil, then bake for a further 15 to 20 minutes (total baking time of 45 to 50 minutes). Check to make sure the centre is cooked by inserting a skewer - it should come out clean. Turn the bread out onto a cooking rack. Allow to cool for at least 10 minutes before cutting. 1. You can substitute the fresh herbs with 2 tbsp dried herbs. 2. You can substitute with pre sliced cheese but I found it did not work as well because they are slightly thinner so they sort of disappear when baked. 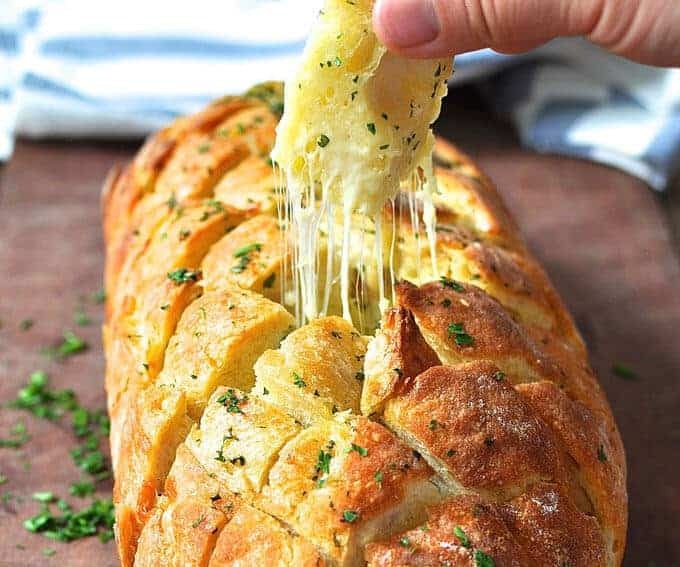 Cutting it yourself means you can cut them slightly thicker so you will end up with some ribbons of melted cheese in the bread. You can also substitute with grated cheese. If you do this, mix it straight into the batter just before pouring it in the tin. Tasty cheese is a common type of cheese here in Australia. A great all rounder and very good value. You can use any type of melting cheese with flavour / salt that you wish. Colby, Monterey Jack, cheddar, gruyere are all great! I don't recommend Mozzarella - it does not have enough salt or flavour for this particular recipe. 1 tbsp vinegar. Set aside for 10 minutes until the surface of the milk curdles. Then use the milk, including the curdled bits, as the buttermilk in this recipe. 4. Store in an airtight container for 3 days (4+ days, keep it in the fridge and toast to freshen up). 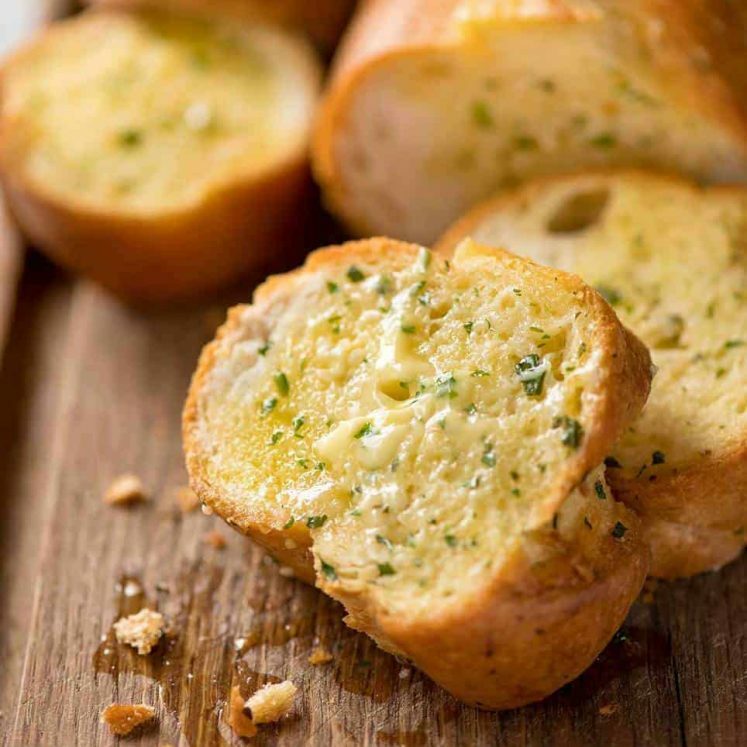 If you enjoyed this recipe, I think you’ll LOVE my Cheese & Garlic Crack Bread! Made it exactly as per recipe. This just came out of the oven and into our tummies. So far FOUR THUMBS UP with more to come!! Gonna be on regular rotation in our home. Just like tens of your other recipes we’ve tried. Keep up the great work! Wahoo! Great to hear June! 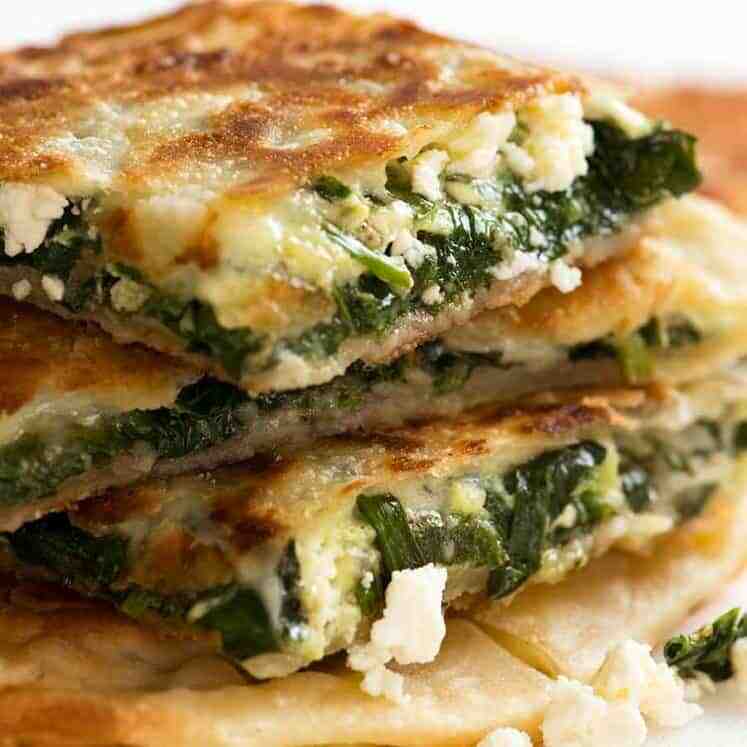 Perfect and delicious just like all of your recipes Nagi. Thank you for a keeper recipe!! 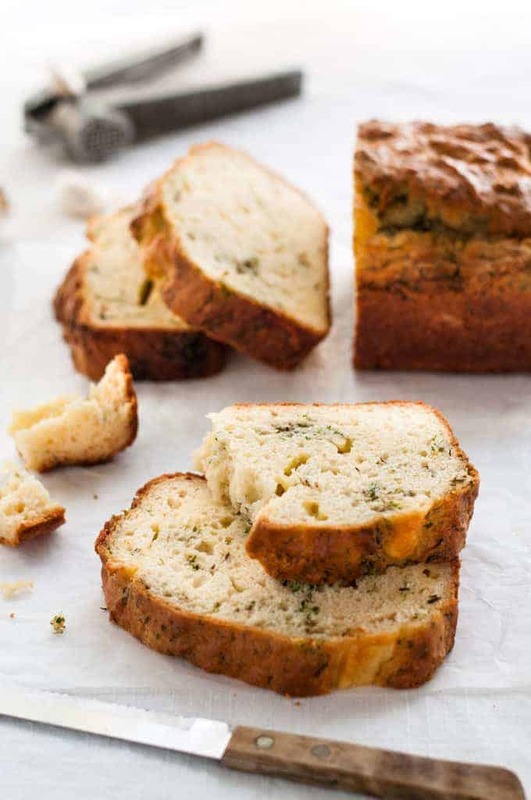 Cheese, herbs and garlic quick bread is my favorite to try to make for Christmas. Thank Nagi for the recipe!! Made this today and loved how quick and easy the recipe was to make! 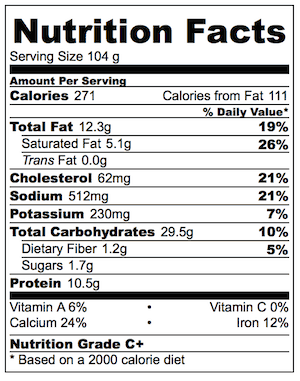 The flavors were also great, but I felt the texture was too light and airy for my taste. Could I sub bread flour or whole wheat flour next time or would it be too dense?